Arctic Roll - Do You Remember? You knew it was a special day when you finished your tea, asked what was next and your Mum started walking towards the freezer. If your pudding came from the freezer it was going to be good, whatever it was. It might be plain old ice cream that was turned into a super-dessert by the addition of Ice Magic (a chocolate sauce that you poured on, left for a minute and then was impressed by the fact that it had turned rock hard and you would have to bash it about with your spoon to break it up and eat it). It might even be a rocket ice lolly – always fun by anybody’s standards. If it wasn’t either of those then you knew that it could only be one thing (it couldn’t be the Vienetta as that only came out when you had guests over) – ARCTIC ROLL! Yes, Arctic Roll was the ultimate in puddings when I was a child; amazing really, given that it was really just a bit of ice cream wrapped in sponge cake (although don’t forget the raspberry sauce separating the two…that’s what made it for me!). It was loved by thousands of people, although derided as an extremely unfashionable dessert by foodies. The chef Nigel Slater summed it up in this now often-quoted description: "Arctic Roll was a sponge-covered tube of vanilla ice-cream, its USP being the wrapping of wet sponge and ring of red jam so thin it could have been drawn on with an architect's pen." Strange as it may seem, given that the above depiction hardly makes you want to rush out and eat one, Slater actually appeared to like it: “(Arctic Roll) contained mysteries too ... How come it was made from sponge cake, jam and ice-cream yet managed to taste of cold cardboard? And, more importantly, how come cold cardboard tasted so good?" And he was right: it was good – the sponge melted into the ice cream in your mouth and mixed with the jam – yum! Created originally in the 1950s by Ernest Velden, a lawyer from the then Czechoslovakia who had been living in the UK; he realised the pudding’s potential and set up a factory in Eastbourne which was dedicated to producing them. It soon became popular; nevermore so, in fact, than in the 1980s, when Birds Eye Walls (who took over its mass production) was selling over 25 miles of the stuff every month. 25 miles - that’s nearly a marathon’s worth of cake and ice cream! The glory days didn’t last all that long however; the 1990s saw the sales of Arctic Roll drop, until Birds Eye Walls ceased production in 1997 and people everywhere found their levels of pudding satisfaction plummet for years afterwards. Arctic Roll wasn’t gone forever though; in 2008 Birds Eye re-launched it with a three million pound advertising operation relying on the nostalgia of a generation, as well as peoples’ desire for cheaper food during financially hard times. I was obviously excited to get my hands on my all-time favourite dessert again but unfortunately I was left slightly underwhelmed. Whilst the basic ingredients seemed to be the same the new version hadn’t been able to capture the same taste as I remembered (or maybe my taste buds had simply encountered better puddings during the time Arctic Roll was absent?) and after the initial sampling the box remained at the back of my freezer, untouched. Others obviously felt the same way: a short time later three major supermarkets took Arctic Rolls of their shelves again because of poor sales. So in summary then: the memory of the original Arctic Roll beats the taste of the one you might find in the bottom section of a freezer at the back of a local food shop now. Now where can I get hold of some Ice Magic? 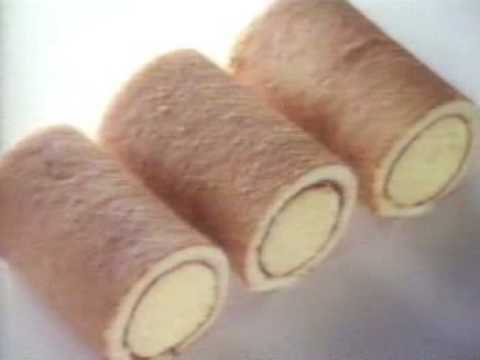 Do You Remember Arctic Roll? This is by far the best & cheapest desert, simple girl that I am. Both Iceland and Asda do their own version and both are equally as good as the original! Just to clarify, the Lyons Maid ones are still going, but its the Birds Eye one that had been axed (in the 90's) and is now back in production again (includinga choc one)at (supposedly)1.99 a roll although im sure some shops have them cheaper. Indeed, they've brought out "Chocolate" arctic roll for £1 now too!